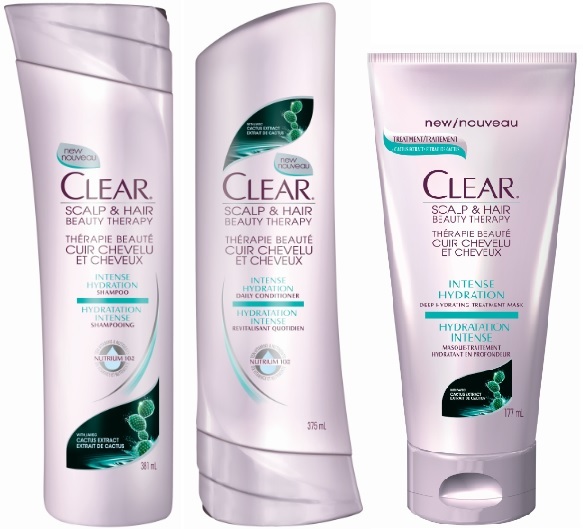 Thirsty locks can drink up with shampoos and conditioners from Clear, Avon, L'Oréal and Garnier! Intense Hydration Shampoo and Conditioner - 375ml - $7.99 - helps replenish the scalp with essential hydration to leave hair looking beautifully strong from root to tip. Intense Hydration Deep Hydrating Treatment Mask - 177ml - $7.99 - with a dual-action formulation that includes a white stripe of deep hydrating treatment and an aqua stripe infused with cactus extract that helps replenish the scalp with a weekly dose of hydration. Moisture IQ Shampoo and Conditioner - 250ml - $7.99 - instantly improves the look and feel of hair leaving it looking and feeling shinier and silkier as well as leaving the scalp and hair feeling moisturized from root to tip. Moisture IQ Treatment - 150ml - $12.99 - a nourishing treatment that leaves hair feeling moisturized for 24+ hours and helps hair maintain a sleek, straight look until the next shampoo. Available from your Avon rep - 1-800-265-AVON 1-800-265-AVON or online at www.avon.ca. 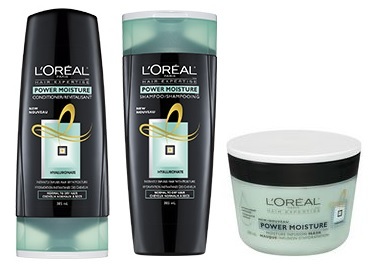 L'Oréal Hair Expertise Power Moisture - with a line enriched with Hyaluronate to infuse moisture deep into the hair fibres and lock it in while Arginine-K Complex helps penetrate from root, to core, to tip for healthier hair. Power Moisture Shampoo and Conditioner - 385ml - $5.99, 750ml - $8.99 - perfect for treating normal to dry hair on a daily basis. It instantly infuses moisture deep into the hair fibre and locks it in. Hair is left soft, beautifully shiny and hydrated over time! Power Moisture Infusion Mask - 250ml - $7.99 - for an extra boost, it instantly infuses moisture into every strand and locks in intense hydration without weighing hair down. 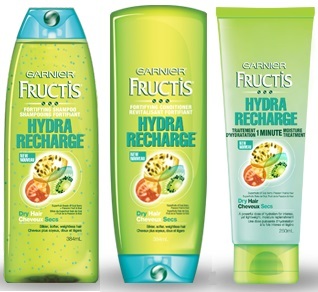 Hydra Recharge Shampoo and Conditioner - 384ml - $5.29, 750ml - $7.99 - enriched with superfruits of goji berry, passion fruits and kiwi into highly concentrated beads - when the beads burst onto hair, they release a light hydrating formula that helps leave hair weightlessly soft with no residue. Hydra Recharge 1-Minute Moisture Treatment - 250ml - $5.79 - with an intensive creme-gel treatment that delivers a surge of high-performance hydration in just 1 minute without heaviness.